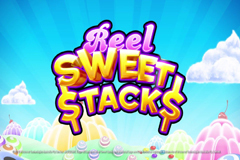 With 5 reels covered in images of delicious candies, Reel Sweet Stacks is a tasty pokie from Aristocrat, and this review won’t sugar-coat anything as we look to see how it plays and what features can be expected. Found only at land based casinos, and presented on the Arc cabinet that envelopes players with a 46-inch screen, it’s a brightly coloured and fairly noisy pokie which is guaranteed to attract the attention of anyone nearby. Once they begin to play, they will see various sweets filling the reels, along with the playing card symbols and a couple of special icons that trigger little treats like wild substitutions, free spins games and jackpot symbols that can lead to any of 4 progressive prizes. The name of the game kind of sums up everything about it. It’s got reels covered in sweets, that can be stacked on top of each other. Behind the reels is an image of vividly-coloured sweets, while the framework of the reels themselves is made to look like stiped candy canes, which all adds up to a well-designed game with detailed graphics and it has smooth animations to go with them. Players can stake as little as 0.60 on a spin, with all 40 paylines being permanently activated, or raise their bets to suit their budgets, and while regular wins are simply multiples of the line bet, the jackpots remain the same for any wager. Like most pokies, to win a prize, players will need to see 3, 4 or 5 of the same symbol ling up across a line, on adjacent reels running from the left side, with the playing card 9, 10, J, Q, K and A making up the lesser wins. These are basically the standard symbols used across most Aristocrat pokies and while they may be over-used, they each have little sweets attached to them, so they are quite colourful and complement the picture symbols well. To get higher payouts, players will want to land the various types of sweets, such as jelly babies, wine gums, gold-wrapped toffees and multi-coloured candies, which look really tasty and will score some equally tasty wins when they line up in the right places. The wild symbol will act as all except the scatter if it can make up winning lines, for example by landing on reel 2 when any matching symbol is on a line on reels 1 and 3. 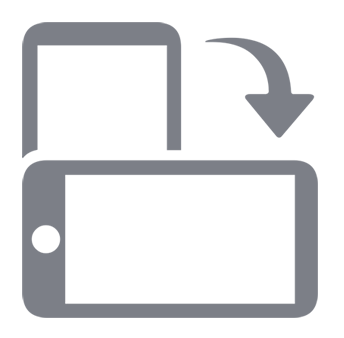 It’s another colourful, sweet-themed symbol designed in a fun style that fits in well with the theme. An over-sized lollipop is the scatter symbol and whenever 3 or more appear at once, players trigger a free spins game which has a couple of extra features within it and is the real highlight of Reel Sweet Stacks. 10 spins are awarded, but the chances of getting some extra wins during them is boosted because wilds are stacked on the reels. This can complete several winning lines in a single spin, or even fill several reels for lots of big wins at once, but to add even more excitement to this round, lots of jackpot symbols are added to the reels as well. People shouldn’t get too excited when they start to see jackpot symbols appearing however, as there are 4 of them and the Mini and Minor ones are seeded at just $10 and $40 each. These are not linked prizes either, so any progressive increases in the value of each comes from the individual machine being played, not from wagers being made across whole casinos. If 2 reels are filled with the jackpot symbol, the Mini prize is won, 3 reels will see the Minor prize paid out, 4 reels filled results in a decent win from the Major jackpot and is all 5 reels are completely filled with the symbol then the Grand prize, that can be several thousand Dollars, is awarded. Winners are even treated to an appearance by the Jackpot Fairy, who flies across the reels in celebration of the prize payout in a nice animated sequence. Ever since the success of the Candy Crush mobile game, developers have been releasing pokies themed around sweets, so this isn’t a particularly original title, but Aristocrat have applied their usual attention to detail and supplied a high-quality game to casinos around the world. Anyone who likes the mouth-watering symbols on display should enjoy some sweet winnings when the symbols line up in the right places, and once the stacked wilds and free spins start to kick in, they should get a bit of a sugar-rush as there’s lots of potential for some big rewards, including the jackpots.